Packed with features and perfect for city driving, the 2019 Toyota Corolla is ready for you to test drive at Midtown Toyota. You will find the perfect combination of fuel-efficiency, style, and technology at an incredible value. 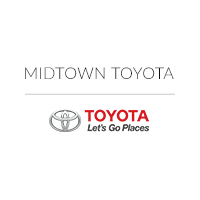 As your trusted Chicagoland Toyota dealers, we have an incredible selection of new Toyota cars and a dedicated staff ready to help find the right vehicle for you. The 2019 Toyota Corolla gets exceptional gas mileage and easily fits into those tight Chicago parking spaces, but it also stands out for other reasons. Our Toyota dealers near Oak Park know you will love the sporty, aggressive front end that is punctuated by stylish and eco-friendly Bi-LED headlights. A pleasing, tastefully-designed interior with ample rear cargo space complements the bold outer profile. This aerodynamic and efficient ride tops out at an EPA-estimated 40 MPG highway in the Toyota Corolla Eco model. You will save on gas money no matter the trim, as all models get an estimated 35 MPG highway or better. A lively 1.8-liter engine that produces 132 horsepower is paired with a continuously variable transmission with Intelligence and Shift mode (CVTi-S) to produce a smooth, enjoyable driving experience. In general, Toyota cars are known for leading the way in safety and the trend continues with Toyota Safety Sense™, an array of standard driver assistance innovations. Features such as the pre-collision system with pedestrian detection use intelligent camera and radar technology to detect what is in front of you and prompt you to take action with audio and visual warnings. If no action is taken, the vehicle may automatically brake to reduce the chance of collision or to lessen the impact. Technology is used for your connectivity and entertainment as well. Integrated Bluetooth® gives you instant access to your phone, while voice recognition and steering wheel controls make things easier and safer. You will also appreciate the available seven-inch touchscreen and Entune™ Audio Plus system. Are you ready to check out the Toyota Corolla in Chicago? Our Chicagoland Toyota dealers are ready to show you everything this popular model can do. Stop by our dealership at 2700 N. Cicero Ave and request a test drive today!